Add all ingredients with oil in a bowl and mix them well. Cut brinjal in two slices to fill them with these spices. 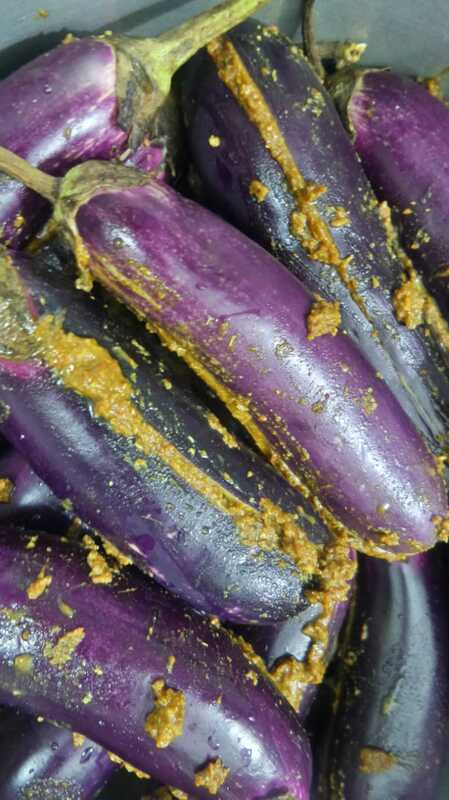 apply spices on brinjal one by one. and spread in a pan. heat up the pan with flame. add half cup water. then cover the top. and make this pan air tight. steam the brinjal for about half hr to cook them till tender. check the brinjal to confirm tenderness . dry remaining water with flame in the pan. baingan taiyar hain. serve them with phulka.